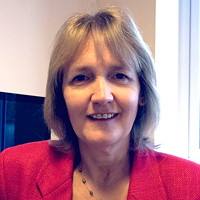 Pam Moule is Professor of Health Services Research and Director of the Centre for Health and Clinical Research at the University of the West of England, Bristol. Pam is engaged in a number of research and evaluation projects across a range of health care environments, supported by a variety of funders. Pam delivers research methods education, supervises undergraduate and masters level dissertations, and supports Doctoral students in the fields of leadership, learning and workforce. Pam has a number of publications in a range of nursing and medical journals and has published four textbooks. Pam is on the editorial board of Nurse Education Today and reviews papers for a number of nursing and health care journals.